A weekly interactive Bible study featuring various church Pastors and members of their congregation. From time to time we will share the content from Hope TV's presentation of the lesson. If you enjoy a Sunday morning full of fun and laughter, please join ‘The Wacky Pastors Wives,’ Barbara Lawrence and Cathy Boldeau to be inspired, informed and educated on the Family Breakfast from 7:00 to 9:00am. Although light-hearted, the Family Breakfast seeks to address the issues surrounding education and relationships with expert ... See More guests. Each Sunday morning, Barbara, prepares a ‘new’ vegan breakfast for Cathy to ‘sample’. Wake up with ‘The Wacky Pastors Wives’ each Sunday morning here on Adventist Radio London. Welcome to the home of Gospel High Intensity Interval Training. This is the only high intensity training you will ever complete without breaking a sweat, that's a promise. You are guaranteed one thing though; a 10-minute, life changing experience from the bible. Mark Grey and guests review the news from the past week. These are stories of journeys that have challenged the travellers, provided new perspectives, and changed lives. Meet women from the community who have faced different challenges at home, at work, and you will discover how they have overcome them or are in the process of overcoming them. Our hope is that their stories will make a positive impact in your life. Our life stories are full of unexpected plot twists. These are the tales of people’s most memorable adventures, impactful experiences, and powerful moments with God. How do you find your purpose? How do you decide what to do with your life? We follow the stories of people from all kinds of professional backgrounds to find out how they got to where they are today and if they know where they’re going. Full radio programmes; music and interview. The Ray of Hope Gospel Show with Ray Patrick is committed to bringing real life issues to the forefront, featuring interviews with people with inside knowledge and experience. True stories of love, singleness, struggle, and community. After a long hard week at work, start your Saturday morning with the Mike Johnson and Cathy Boldeau, for the Sabbath Breakfast. From 7:00 until 9:00am, listen to the best in Gospel music, learn from the words of resident pastor, Ian Sweeney with the weekly Scripture Smash, be inspired by the Morning Message from international speakers, ... See More and hear the testimonies of a variety of guests. What does it mean to talk to God? Can I really have a conversation with a heavenly being? And if I talk to Him, will He listen? Will He answer? If these and other questions, about prayer, are on your mind, then tune into ‘Sacred Conversations – the art of talking to God’ to discover whether it is actually possible to have the most ... See More powerful person in the universe as a personal friend. 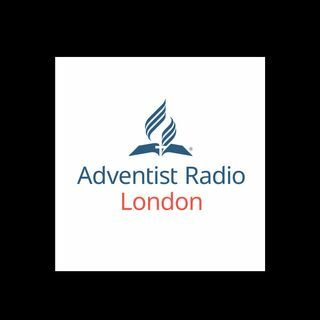 Join us on Adventist Radio London for 21 days of Prayer (8:00 pm), starting Wednesday 10th January as we learn together, pray together and explore some of the greatest prayers ever recorded. Special editions of shows for sharing with support groups for people with various conditions. Talking Point explores the stories of how God works in the lives of people in the public eye or positions of influence. You can rely on our team of reporters to bring you thought-provoking and in-depth interviews. Life-changing testimonies for your inspiration. We were born for story. It shapes the way we think and act. Many of these stories come to us through movies, and we love them. However, we don’t always critique what we watch. Join us as we discuss a form of art that we simply tend to swallow without thinking deeply about.